Schaefer’s is an independent, brick and mortar local business. We proudly wear our tagline – “family owned and locally grown”. 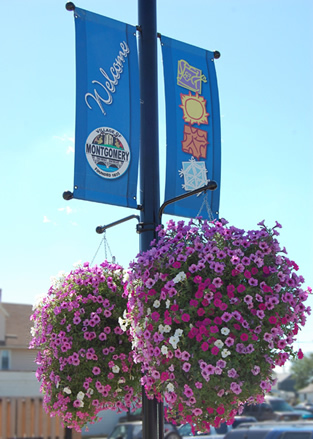 Our Garden Center and Flower Shop have served the Montgomery, Aurora and surrounding communities since 1926. Find us on Bing Local! Find us on Yahoo Local! Sunday deliveries available for funeral work only. Welcome to Schaefer’s Greenhouse, located just South of Aurora, on Route 31 in Montgomery Illinois. We’ve been designing beautiful bouquets and growing premium plants for 4 generations. Our experience and expertise ensure the highest quality products and service. We’re family owned and family friendly. 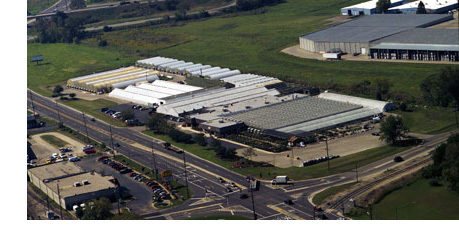 Our greenhouses are the heart of our business. We proudly specialize in growing only the finest, florist-quality plants. More than 80% of our crops are grown right here in our greenhouses, assuring you the freshest and healthiest plants available. Lush green tropical plants are available in all sizes. They create a soothing and healthy environment. Bright flowering plants are always a cheery and welcomed gift. Stop in today to see what’s blooming. We feature beautiful floral bouquets designed by our staff of creative designers. Flowers from around the world arrive daily, assuring our customers of floral variety, style and freshness. Our same day delivery services the Fox Valley area including Aurora, Montgomery, Yorkville, Oswego, Naperville, Sugar Grove, Bristol, Boulder Hill, Presbury and North Aurora. Sunday deliveries are only available for funeral work. We can also facilitate out of town deliveries through our network of FTD and Teleflora’s finest shops. Our garden center is stocked with thriving plants and everything you need to make them flourish and grow. A full selection of trees, shrubs, rose bushes, annuals, perennials and vegetables await you! Our arbors, fountains, statuary, patio furniture, bird baths, and garden décor are perfect accents and finishing touches. In our gift shop you’ll always see an interesting selection of decorative items for your home or gift-giving. New merchandise is always arriving. In addition to baskets, ceramics and glassware, look for new bath lotions, soaps and fragrances, candles and pot pourri. Silk designs for the wall and tabletop in every color and theme are ready for your selection. Custom orders are available upon request. Our plant rental/maintenance department provides professional care and maintenance of blooming and foliage plants for your office. Plants provide a productive and pleasant work environment. Our staff will design a plan to fit your needs and enhance your setting. Call for a complimentary consultation and bid.